Two weekends ago, we ventured down to Silver City, NM, for a rock and gem show. While JoAnna and Joey worked the booth, I drove to Hatch, NM, to pick up 60 lbs of green chiles. 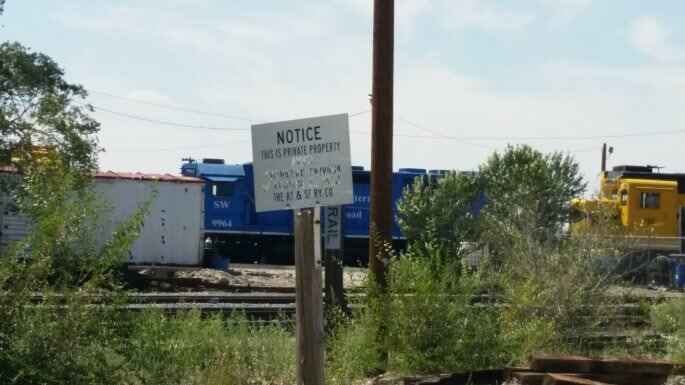 On my way back, I saw a collection of engines in a small railyard in Hurley, NM. 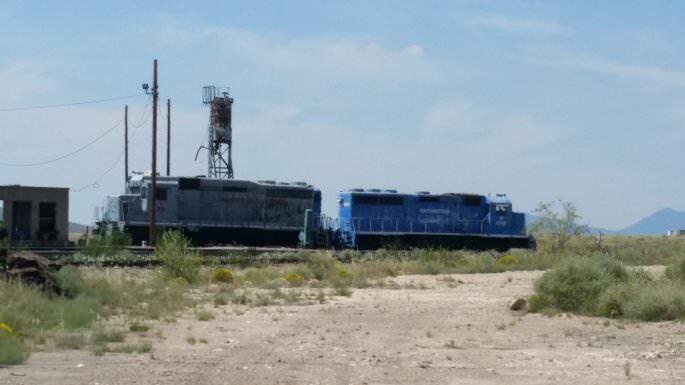 Armed only with my cell phone camera, I snapped a few photos of the old station and the engines that were there. I apologize in advance for the quality of the photos- I only had the cell phone, and there was no way to (legally) get any closer to these engines. 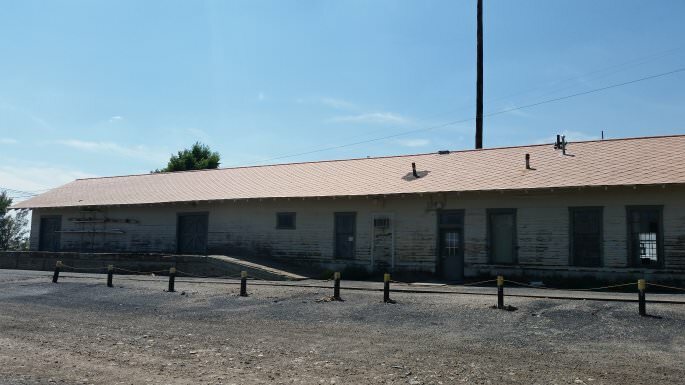 The Hurley station appears to be somewhere between storage and abandoned. I don’t know if it is in use or not, as it was Labor Day weekend when I passed through here. 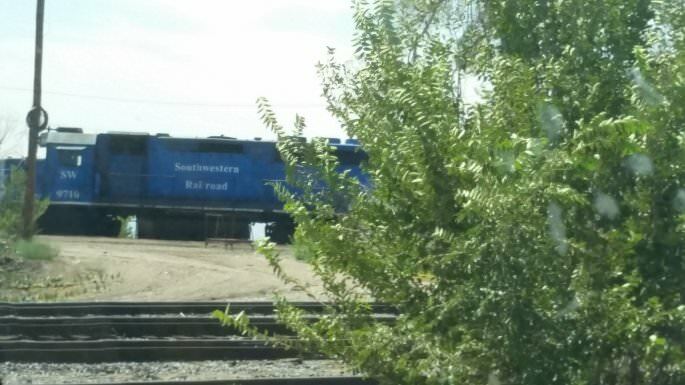 All of the engines are from the Southwestern Railroad. I’m not familiar with this line, but I will report back next week with more details. We drove from Rio Rancho, NM, to Silver City, NM, and part of that journey was along windy, scenic NM-152 through Hillsboro. 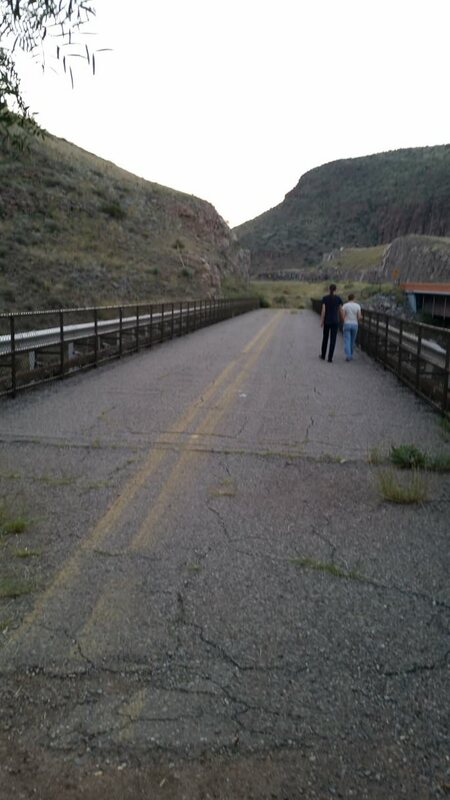 Along the way, there were several old bridges, two of the three of which I was able to photograph safely. Unfortunately, the name plates had been removed. There was a second one, identical to this one. 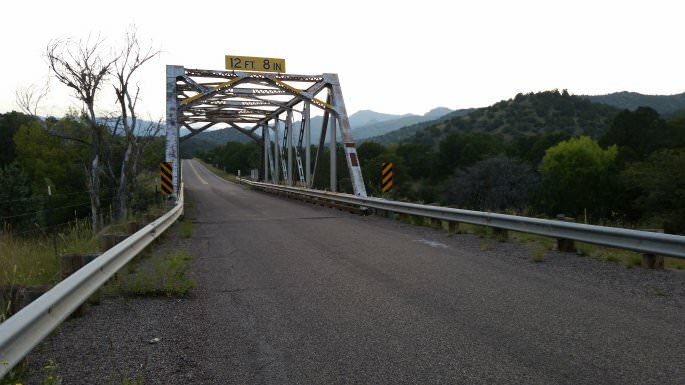 One is called “Middle Percha Creek Bridge” and the other is called “Percha Creek Bridge.” These sites are listed on BridgeHunter.com, and have their build year 1929. 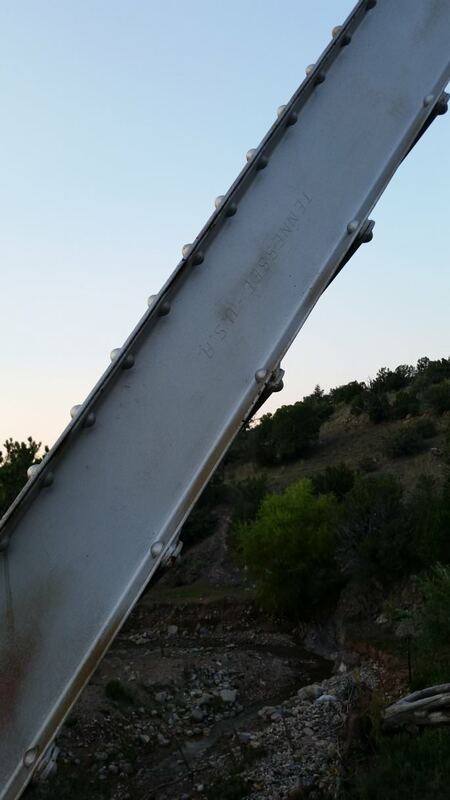 I did find that, unfortunately, these bridges will be replaced in winter of 2021, according to the Department of Transportation website. 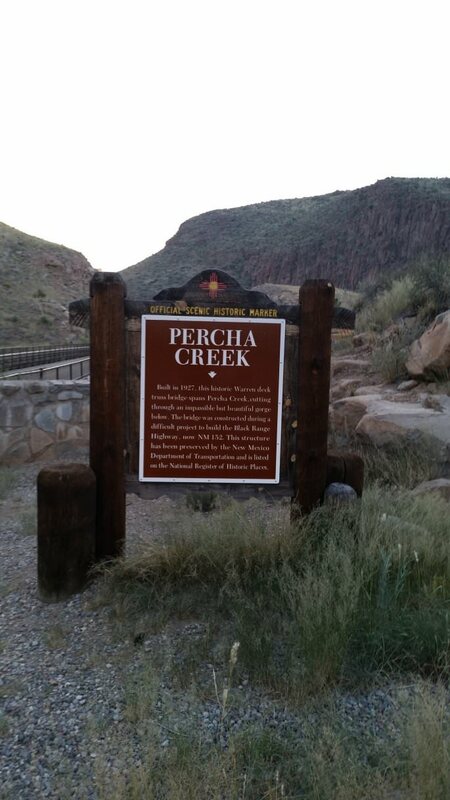 There was yet another Percha Creek Bridge that has been replaced for traffic, though the original bridge is nearby and can be walked upon. 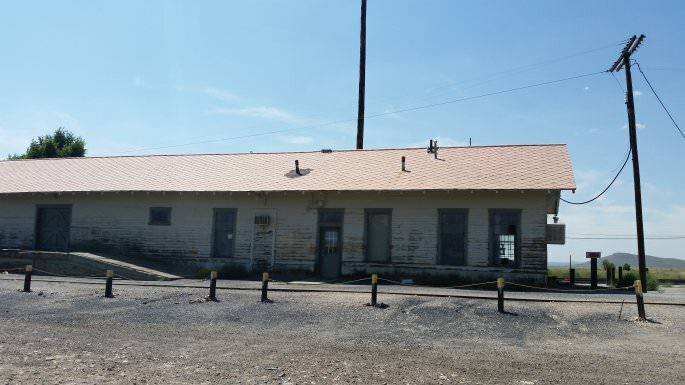 This one was also built in 1929, and featured a historical marker sign.